A bill before the County Council that would restrict drilling of geothermal wells to daylight hours has hit a snag. The council today took up what would have been the second and final vote on Bill 292, but concerns about its wording prompted several of its members to delay its passage. Council Chairman Dominic Yagong introduced the bill at the urging of neighbors and critics of the Puna Geothermal Venture plant in Pohoiki, who said drilling activities at night disturbed their sleep. Mike Kaleikini, PGV’s plant manager, testified today that the bill is flawed for several reasons. He said it would give the plant’s neighbors a false sense of security because even if drilling is not being done there would still be noise, as some machinery such as pumps must be kept running to protect the integrity of the well. Also, Kaleikini said, the bill does not take into account drilling procedures required by law to protect the safety of the well, workers, equipment and the community. The third concern he raised was that the bill does not resolve questions raised by county attorneys regarding government jurisdiction over drilling activities. PGV has taken the position that permits authorizing drilling around the clock have previously been issued to the company by various government entities including the state departments of health and land and natural resources. Any attempt by the county to interfere with those vested rights would not be enforceable, according to a Sept. 28 letter to the council from PGV attorney Tom Yeh. 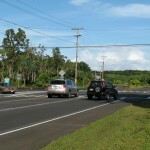 And some council members, including Hilo Councilman Donald Ikeda, are concerned that such a move could result in the county being the target of a lawsuit. Although he didn’t use the “L” word, Kaleikini’s testimony today alluded to that. Before the bill passed first reading on an 8-1 vote on Oct. 3, the council first discussed the legal ramifications privately with county attorneys. The result, according to comments today from Councilwoman Brenda Ford, was that the bill would apply only to future geothermal developments. But the bill has not been amended to reflect that. And while there are long-term proposals for further geothermal development on the Big Island as well as on Maui, no definite plans have yet come forward. Ikeda said the bill’s wording should be changed to show that PGV already has a vested interest under its permits. He said if it wasn’t amended, he would request that the matter be taken to a public hearing before the final vote is made. Kaleikini told Big Island Now that his company’s position is that the county cannot interfere with existing permits granting PGV approval to produce 60 megawatts of electricity – 22 more than it currently provides under contract to Hawaii Electric Light Co.
Councilman J Yoshimoto suggested that Yagong consider changing his bill’s wording to reflect that it doesn’t apply to PGV’s current operation. “It just seems that adding the language to make it clear would be helpful to people,” he said. Yagong did not respond to Yoshimoto’s suggestion. He did, however, vow to take the matter back before what have been very vocal anti-geothermal protesters. “If there is a public hearing, I’ll make sure it’s in Puna,” Yagong said. Three affirmative votes are required for a public hearing. 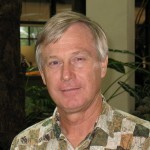 In the end the vote was 5-3 in favor of a hearing, with Ford, Puna Councilman Fred Blas and South Kohala Councilwoman Pete Hoffman voting against it. The date of the hearing has not yet been set.